Nell Shaw Cohen is a composer, librettist, and multimedia artist based in Brooklyn, New York. She evokes landscapes, visual art, and the lives of mavericks in lyrical works for the stage, concert hall, and digital media. Houston Grand Opera, HGOco Song of Houston chamber opera commission for Turn and Burn, a “feminist rodeo opera,” with librettist Megan Cohen (Spring 2021). Skylark Vocal Ensemble commission for Transform the World with Beauty, an SATB vocal ensemble work inspired by Victorian visual artists (Spring 2019). Montage Music Society commission for Transforming Forest, a piano trio inspired by the land art installations of Andy Goldsworthy (Spring 2019). 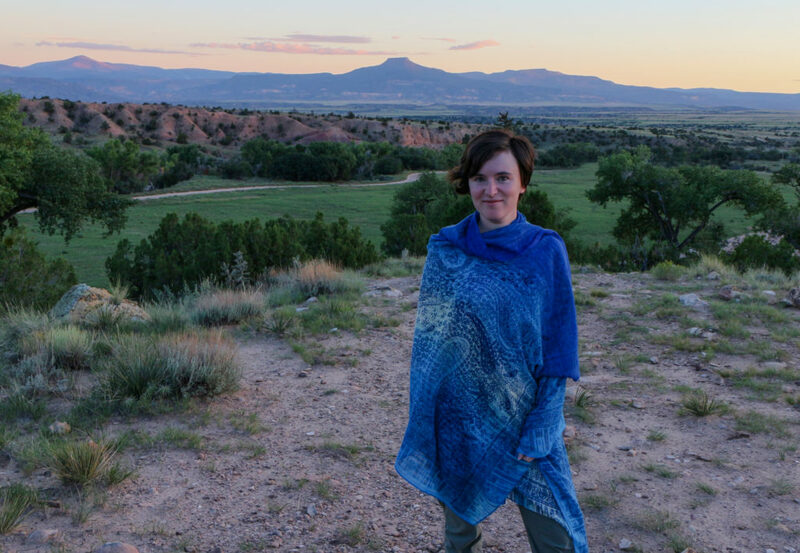 The Helene Wurlitzer Foundation of New Mexico, Artist-in-Residence (Spring 2019). Founder & Director of Landscape Music Composers Network, LandscapeMusic.org (2015-present). University of New Mexico, UNM Opera Theatre, Guest Artist and Workshop Production of opera Mabel’s Call (Fall 2018). Director of Landscape Music: Rivers & Trails national concert series with the Landscape Music Composers Network (Fall 2018). Fort Worth Opera Frontiers showcase, featured excerpts from opera Mabel’s Call (Spring 2018). New Dramatists, five-day workshop of music-theater work Fallen Star with playwright Mashuq Mushtaq Deen (Spring 2018). Page 73 Yale Summer Residency and New York Theatre Workshop, Guest Artist in theater workshops (Summer 2017). Brush Creek Foundation for the Arts, Artist-in-Residence (Fall 2017). Nautilus Music-Theater, Composer-Librettist Studio at New Dramatists (Spring 2017). American Opera Projects, Composers & the Voice fellowship (2015-17). Subscribe to Nell’s email newsletter for updates every few months. You may unsubscribe at any time. World Premiere of Nell’s Transform the World with Beauty for vocal ensemble, commissioned by Skylark Vocal Ensemble for Masterpiece: an innovative, multi-faceted program offering musical reflections and reactions to the visual arts from the ancient to the modern. See more upcoming & recent performances. A chamber opera in one act, set in New Mexico, inspired by the life of Mabel Dodge Luhan: an early 20th century writer, philanthropist, and international icon of the avant-garde. Learn more. A narrative suite for chamber ensemble following the conservation stories of three wild animals and their habitats in national parks. Composed in commemoration of the centennial of the National Park Service. Learn more. A monodrama for tenor and chamber ensemble based on the writings and paintings of Charles E. Burchfield (1893-1967). Learn more. An orchestral tone poem inspired by the coastal landscape of the San Francisco Bay Area and a woodblock print by contemporary artist Tom Killion. Learn more. A work for solo piano written during an Artist Residency at Brush Creek Foundation for the Arts in Saratoga, Wyoming, and inspired by the landscape of Brush Creek Ranch. Learn more.